Have you been feeling the need to jailbreak lately? The latest Redsn0w and Pwnage Tool jailbreaking apps cover Apple’s 4.3.2 firmware update, so freeing your iPhone, iPod Touch or iPad (not iPad 2) is as easy and accessible as it’s likely to get. Despite being easy, free and completely legal; jailbreaking your iOS device will void your warranty. If you’re worried about the consequences should it go wrong and whether the advantages outweigh the risks then don’t do a thing till you’ve read this. There are plenty of reasons for and against jailbreaking. Here are just a few to get you thinking. With the latest tools, jailbreaking your iPhone or similar really couldn’t be easier. Redmond Pie have a 4.3.1 and 4.3.2 untethered jailbreak guide using Pwnage Tool on a Mac and Sn0wbreeze on Windows. These guides are very in-depth and should hold your hand for the complete process. You’ll be surprised that all it takes is the above mentioned jailbreak software, iTunes and a few clicks in your chosen tool to free your device. Cydia is an unofficial app store for jailbroken iOS devices which deals in banned or non-approved software The Top 10 Free Apps for Jailbroken iPhone [Cydia] The Top 10 Free Apps for Jailbroken iPhone [Cydia] Read More . Not only are there free downloads available on Cydia but also paid ones. VLC 6 Cool VLC Tips & Tricks You Might Not Know About 6 Cool VLC Tips & Tricks You Might Not Know About VideoLan's VLC media player is a real box of tricks and is just as effective on a Windows operating system as it is on Mac or Linux. Those of you who are already using VLC... Read More is one such banned app available (for free) on Cydia. It allows users to play DivX video instead of Apple-approved MP4s – something Apple weren’t pleased about, hence the ban. The potential for so-called “bedroom development” of apps has been given a new lease of life with recent successful jailbreaking techniques. Developers certainly won’t hit the dizzying number of downloads seen on the official Apple repository, but for many it will be a chance to get their work on iOS without having to worry about Apple’s approval. The fact that such a resource exists is arguably one of the main reasons to jailbreak your device. Jailbroken devices are immeasurably more customizable than those that haven’t been hacked. Not only can you change the physical appearance of your home screen, lock screen, keyboard, icons and so on but also add useful software tweaks to the UI too. With the BackBoard theme installer available on Cydia, transforming your iPhone into a very convincing Windows Phone 7 clone or applying that big beautiful HTC-esque clock to your homescreen is a painless experience. If you really want to turbo-charge your UI, install SBSettings to add all kinds of one-touch access to useful features such as toggling 3G, Bluetooth and Wi-Fi or changing your brightness simply by swiping across the top of your screen. Jailbreaking your iOS device also enables you to change your phone’s behavior and even add some nifty extra features. One such feature that Apple prohibited was FaceTime (or any demanding data tasks) over 3G. 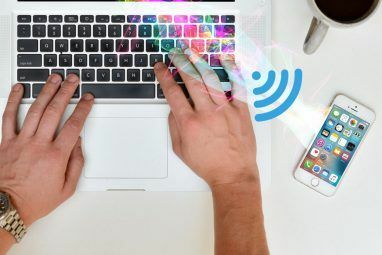 With the My3G application ($3.99 with a free trial, from Cydia) you can trick your iPhone into believing it is on a speedy Wi-Fi connection anywhere you have regular data signal. This means you can finally make video calls, watch YouTube in HD or download apps in excess of 20MB using your standard 3G connection. Apple did remove this functionality in order to prevent the mother of all phone bills Easy Mobile Internet Plan Comparison for United States Easy Mobile Internet Plan Comparison for United States Read More , so be careful if you’re not on an unlimited data plan. If you’re sick of the default SMS handler then why not ditch it in favour of biteSMS, a popular third party effort? If you’re sick of not being able to have more than 12 apps in a folder then try Infinifolders and never worry about it again. Want to access your device’s most sensitive data? Looks like iFile is the app for you. There’s no argument that jailbreaking an iPhone unleashes some unexplored potential, but is it worth it? Whilst a complete “brick” is unlikely (and many have reported that it is quite easy to recover your device should something go wrong) it’s not guaranteed. If you’re not the type who is fond of fiddling to the point of breaking something, and then spending all night trying to fix it again (you should know by now) then jailbreaking might not be for you. If you do somehow “brick” your phone (to the point of no return) then Apple won’t bat an eyelid as you’ve voided your warranty by trying to jailbreak in the first place. If your device is recoverable it will need to be wiped and you’ll have to start all over again. Annoying? Probably. Devastating? Not really, and nowhere near as bad as a completely dud device. Note: If you jailbreak, then restore to Apple’s firmware there’s little Apple can do to detect your past sins meaning your warranty will still stand. Just don’t let Apple know you’ve fiddled with it, obviously. If it breaks in a jailbroken state and Apple find out, they won’t fix it. Apple often roll out firmware updates soon after a successful jailbreak release. There’s plenty of reasons why you should update (as seen in the Security section below), but any official updates are 100% guaranteed to break your jailbreak. 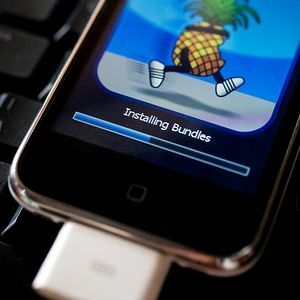 You’ll need to do it all over again once the update is jailbreak-compatible to restore your phone’s untapped potential. The risks in installing modified firmware on any device should never be overlooked. Potential security holes, bugs, or even third-party applications could render your device worse-off than a pre-jailbreak model. Security updates (or lack of them) are another hazard. Every iOS device utilizing firmware with a serious security hole (once discovered) should be updated as soon as possible to protect against the flaw. The only issue here is that many users may be tempted to keep their jailbreak in favor of Apple’s update to retain jailbroken privileges (and leave the security hole wide open). Whilst this is entirely subjective, and that fixing a big security hole is more important than installing a couple of banned apps; it’s an example of how delaying an update due to a jailbreak can make for an unwise decision. The most important reasons for and against a jailbreak though, needn’t really be mentioned. 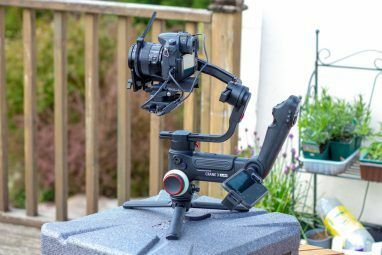 If you’re already considering it, then chances are you’ll love your new jailbroken device and all the things you can do without Apple’s approval. If you’re happy with your standard iPhone or iPad, love the App Store and don’t need half of the features I’ve glossed over – leave it out. Have you jailbroken your iPhone? Will you? Why? Why not? Persuade us all in the comments below. It's the iphone 6 plus...it's the hummer of phones...I look ridiculous carrying it around. The reason I was asking is because I don't know what jailbreaking fully does or means but I don't like the constant barrage of commercials on the games. I was just hoping that jailbreaking would stop that. But like I said, I'm taking the phone back. Not an Apple user. But thank you so much for the info...oh, and as for my son...he's a gamer (if that means anything) and all the kids showed him how to do it 'cause they all have it. Maybe it's cool? But if jail breaking the phone is the worst thing he's ever done (and it probably is..he's a homebody too hooked on the Alien) then I'm okay with that. thank you for taking your time to respond. what if the phone is a lease that has to be returned in 2 years. Can I jail break it and then just set it back to factory settings before turning it back in? Will they know that it was jail broken? will that void the lease? Or if it needs to be repaired or something can you just set it back to factory so they don't know? First up I have to say we really don't know if there's any way of telling if a device was once jailbroken. There's chance Apple already knows which devices are jailbroken or not, after all each iPhone has a unique device identifier (UDID) like any smartphone. As the article states, apparently certain jailbreak processes leave files behind that might indicate to someone taking a closer look (i.e. Apple technician) that you've been naughty. Secondly – is this a new iPhone 6? If so then a bigger worry for you would be voiding the warranty. This is especially true if you have the extended warranty or its covered by some sort of (presumably work?) insurance. Even if a physical fault develops (i.e. your home button stops working) if the device's software has been tampered with then the whole warranty is down the pan. Personally I wouldn't jailbreak a device that was still under warranty, mostly because I have a track record of using my warranties (MacBook, iPad, iPhone all have had some degree of work done under warranty). If this is a work lease and the device is older (i.e no warranty, though it's unlikely – even refurbs get some limited warranty) then I guess it depends if your employer cares! Following the logic that they gave you the device in order to be contactable, I'm not sure installing third party firmware quite falls under that remit. 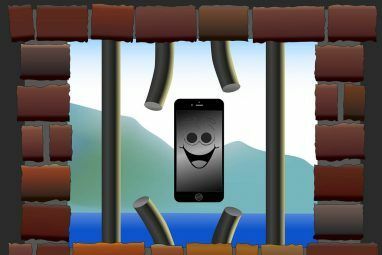 Lastly you should have a look at why you (or your son) actually wants to jailbreak. It's not that I don't see the point, but more that many of the tweaks aren't as useful as they first seem, many are still broken after years of neglect from developers, others work great (but I'm dubious as to whether they warrant all the hassle in the first place). 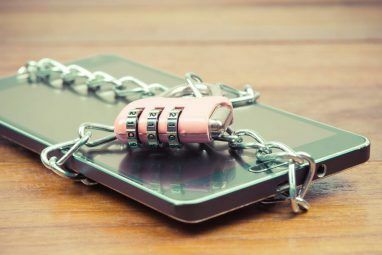 It's also true that jailbreaking is required to install spy software, so it would technically leave your phone open to attack in that respect (unlikely I know, but still – all of those "spy on your spouse" apps require a jailbreak). It's possible some other apps like Netflix, PayPal, banking apps etc won't work either – again, a security measure. iPhone 3GS, running iOS 4.2.1 and jailbroken using greenpois0n. Everything 'standard' in iOS just works like it should work. There's nothing to worry about, like push notifications not showing up anymore or the App Store not working anymore. Everything's just fine. If you've tried to jailbreak your iPhone or iPod and it won't start up, like you're holding down the power button but the screen keeps black, you can always try to hold down the power ánd home button, in most cases your iPhone or iPod will start up just fine. yeah, i'm the kinda guy that wants his $300+ device to work exactly how he wants rather than how someone else thinks he should like it. plus, it's kinda fun tweaking it and watching the amazement in people eyes when it does something then never knew it could. what most people don't understand is how simple and not confusing it really is. #1 Why would anyone "uglyfy" their iPhone? #2 There's no such thing as "convincing" about Windows. no. jailbreaking is, in essence, a disabling of apple's security measures to allow these modifications. if you were to "unjailbreak" by updating or restoring, you would be allowing apple to replace their restrictions and thus removing any and all unauthorized apps, tweaks, etc. If I wanted to spend all night fiddling with it, I wouldn't have bought an Apple product. I’m always tempted to jailbreak my iPhone, but i keep thinking i’ll be too frustrated if I need to go back to the original iOS. Can you still purchase regular apps in the App Store after you jailbreak? I've done a fair bit of research, and it seems that it's fine to use the App Store after a jailbreak. A few forum posts I've found had issues with SBSettings "hiding" the App Store on occasion, but apart from that you're good to go. I don't think Apple will come after you, put it that way.